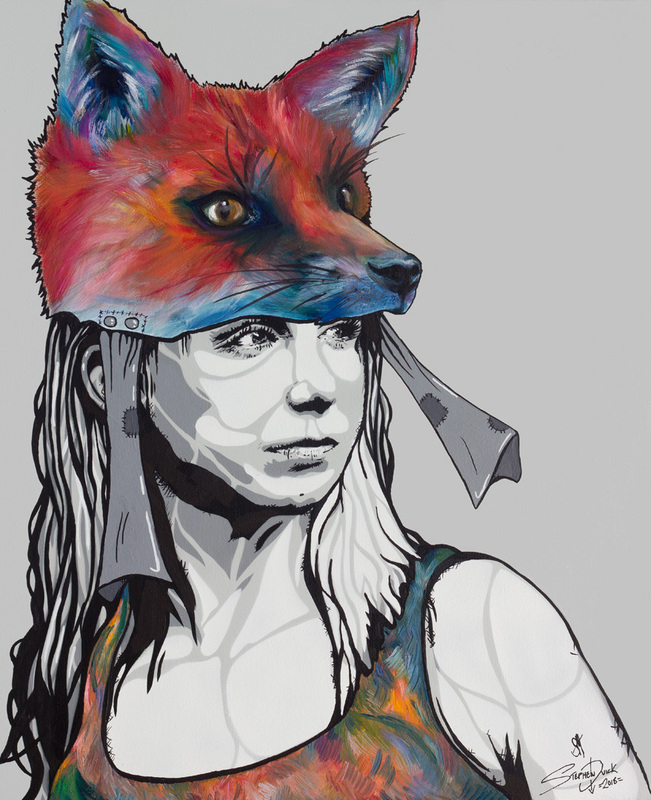 Original collaboration painting by Stephen Quick and Sophie Mills Thomas entitled 'Vixen'. 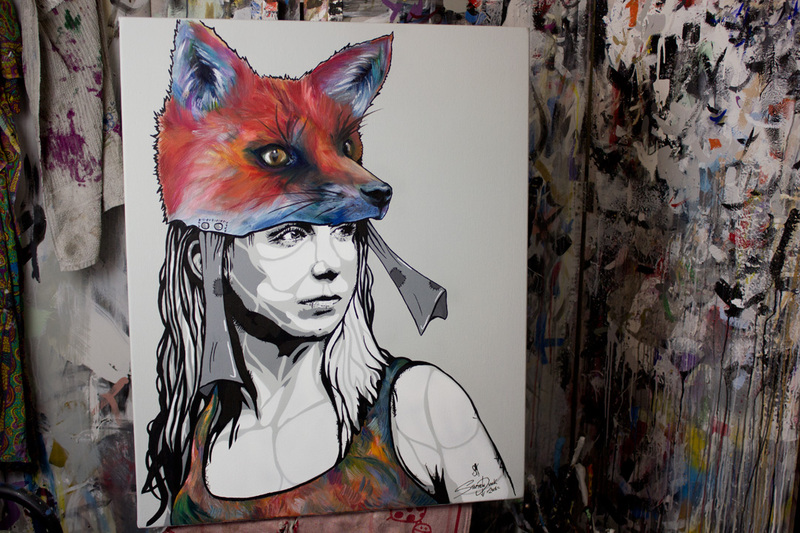 The painting created by us both depicts a strong powerful woman with a battle headdress of a fox head. 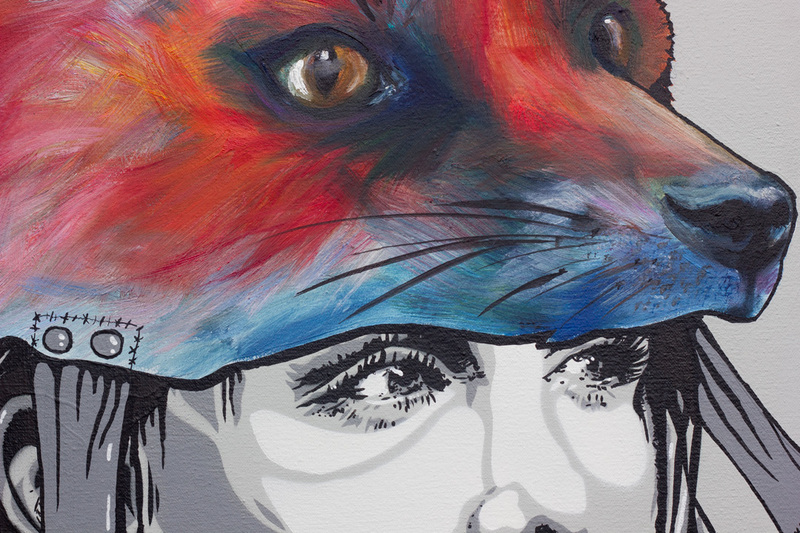 The painting mixes up out styles of pop art and Impressionism, along with oil paint and spray paint, me talking the body of the woman and Sophie taking on the fox. 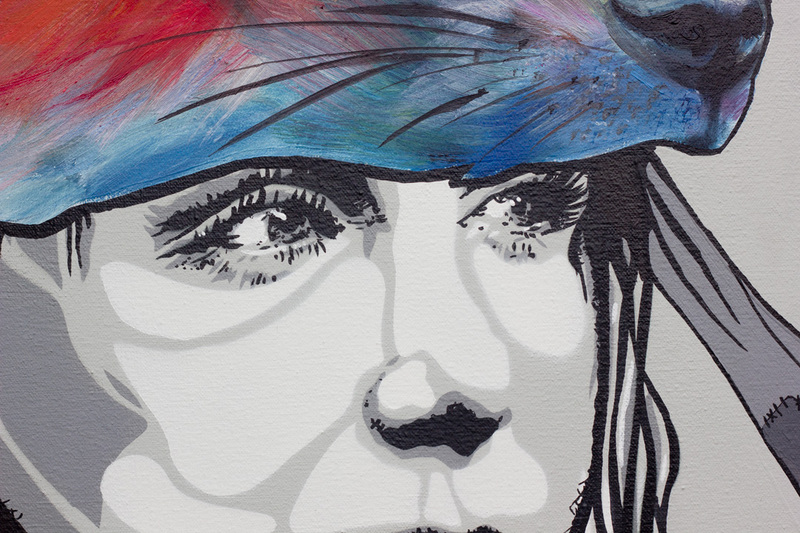 The painting is in high-grade oil and spray paint, varnished with a matt spray varnish, on a pure cotton box canvas. The canvas measures 30.5 inches x 25 inches on a box canvas of 1.5 inches deep, the sides of the canvas are painted with a wrap around effect, no nails or staples and ready to hang. 30.5" x 25" x 1.5"